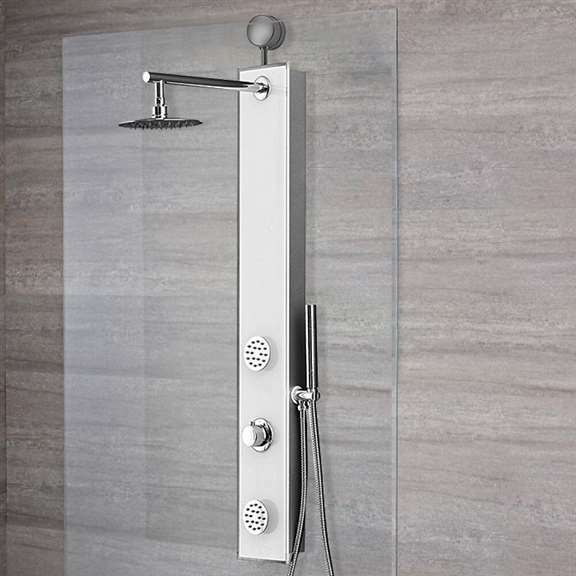 Loreto is a sophisticated shower panel system, made in aluminum and tempered glass, for modern bathroom showers. 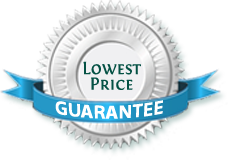 Everything is pre-mounted, so installation and maintenance are very easy. 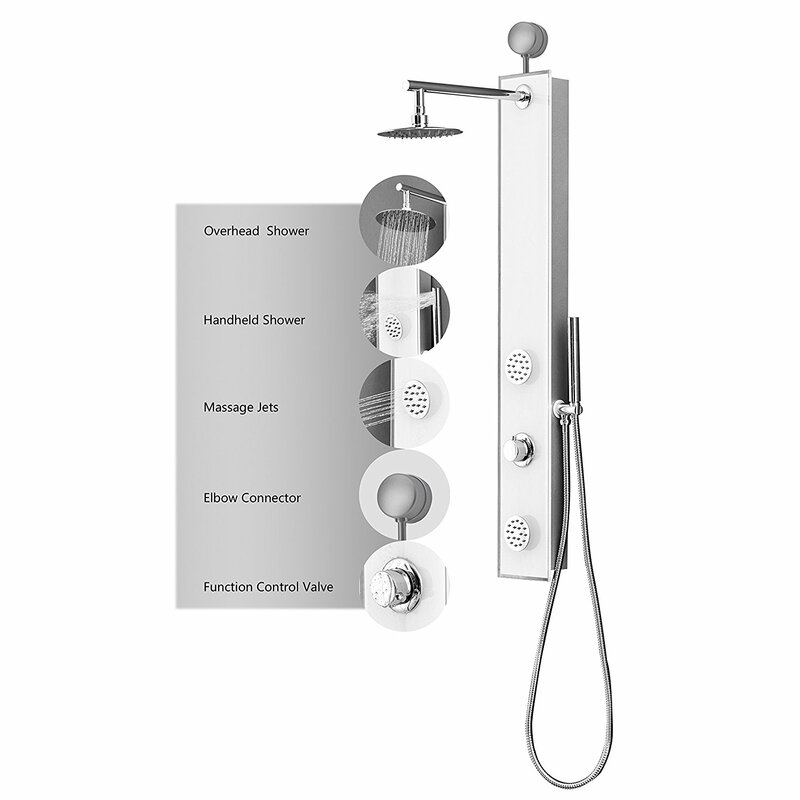 The system includes a 6” rainfall overhead shower, a handheld shower, two large massage jets with 18 nozzles each and the control valve which allow switching between the functions. 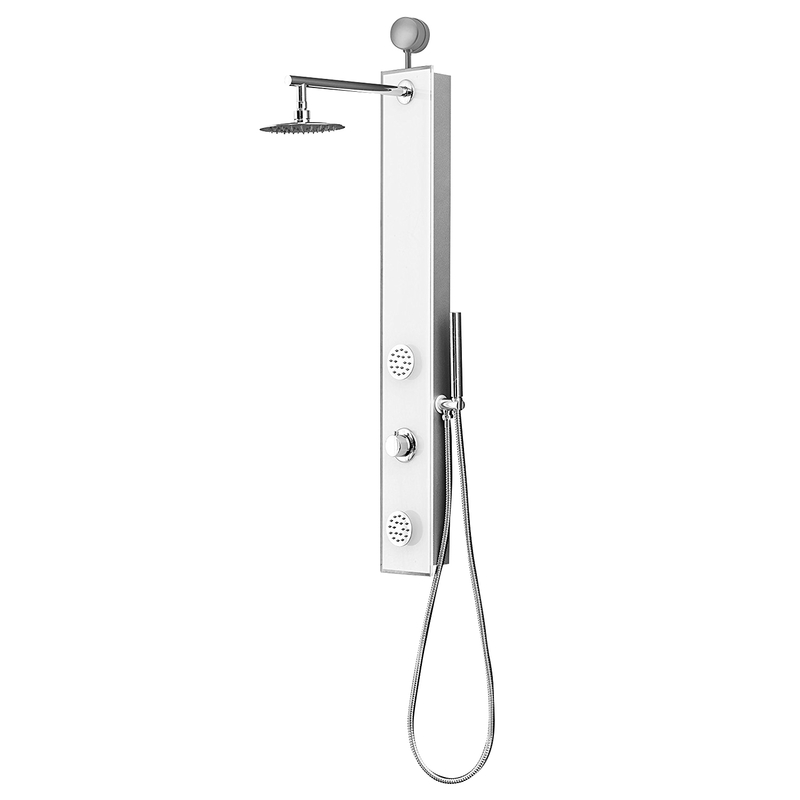 Everything is made of high quality materials: the shower arm, the hand shower and the valve are made of brass, while the overhead shower and the shower hose are in stainless steel for improved functionality and long lasting life time. It comes complete with mounting accessories and installation instructions. 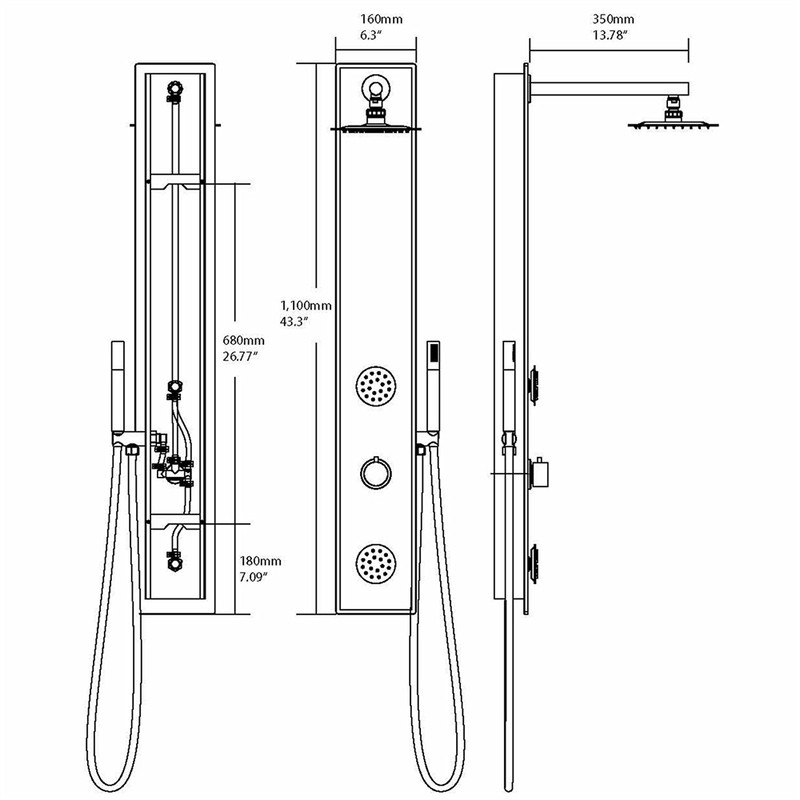 Shower Panel Height : 43.3"
Shower Panel Width : 6.3"
Shower Panel Depth : 3"
Shower Panel Reach : 16"
Shower Arm Length : 13.78"
Hand Shower Hose Length : 59"
Single function control. One function at a time. I can't believe that it took over three weeks for this thing to get delivered to our place. I mean we were have the bathroom renovated and the work was delayed because we were all waiting for this to arrive. The sales rep wasn't even remotely helpful since all he could tell me was that the shower panel has already been shipped and I just have to wait for it. Good thing the shower panel works great, otherwise this would have gotten a nasty 1 star rating. This was selling for less than a thousand dollars, which was more affordable than the other ones that I saw here. For that price, I think it's a good deal, though I fairly sure that there are other options worth considering. 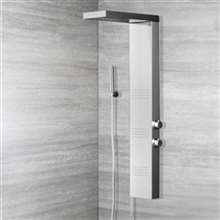 As for the shower panel, the whole thing arrived in excellent condition and works well. There's really nothing to complain about with regard to its functions. 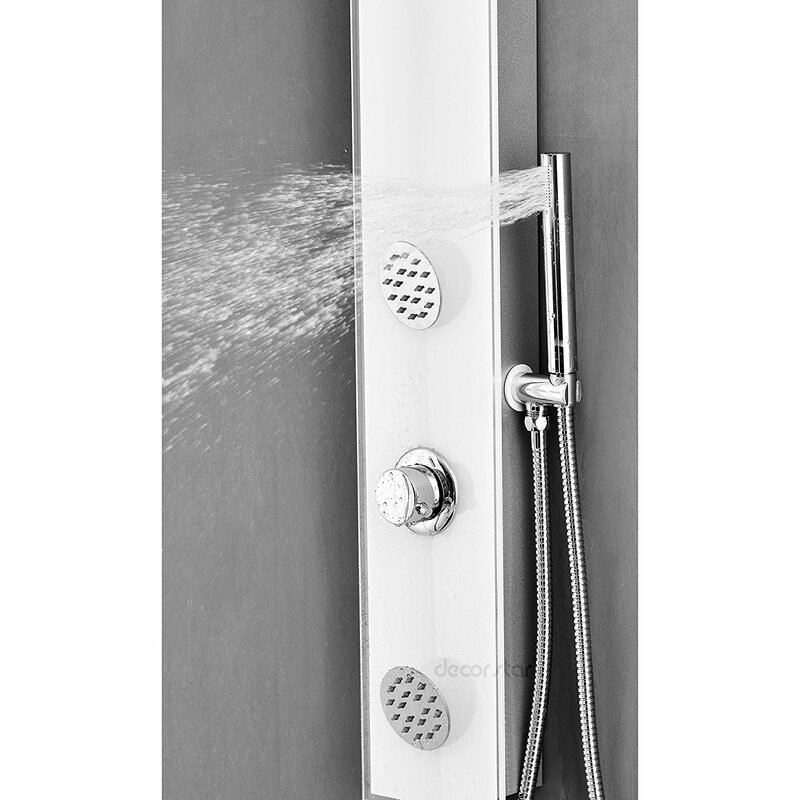 This shower panel was worth every cent, it's great! I like the glass and stainless steel combination, the design is very nice, better than I expected, especially given the price. The jets are awesome, I will never have a shower without jets again. I first thought that spending this much on a shower panel was rather absurd, but I knew that this is what I wanted and I was dead set on getting it. So I bit the bullet and placed an order and waited for it to arrive. When it did, and after having it installed, I was very much happy that I decided to buy it. 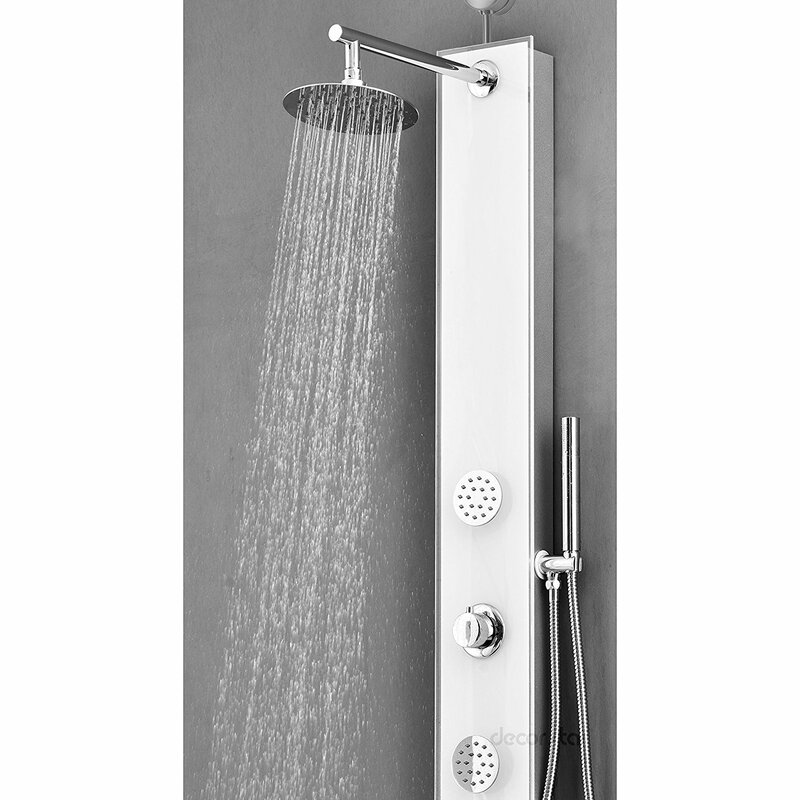 It looked really great there in the shower, and the best part is that I'm enjoying my showers more and more. 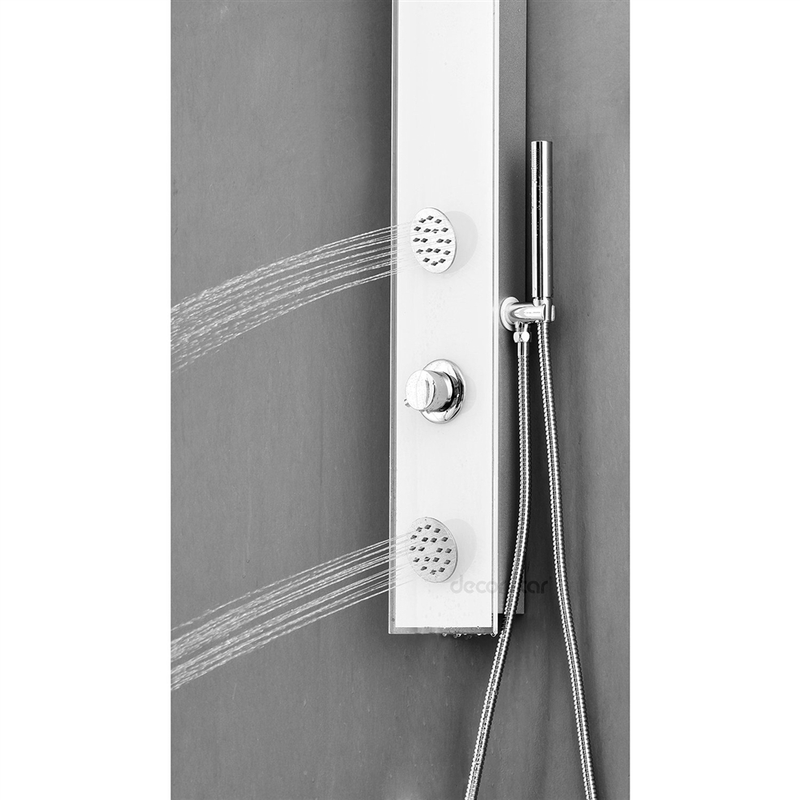 This shower panel is ideal for replacing, installation was amazingly simple. Delivery took longer than expected, but I am very happy I finally have a good reliable shower panel. The jets are quite powerful but luckily they can be adjusted.